If you're looking for a great addition to your holiday decor check out this Merry Everything Stunning Winter MatMates Doormat. Created to be used indoors or outdoors, this mat is great for any part of your house. You can display your mat with our unique indoor tray for a cushion comfort surface that is great for easing stress on feet during long standing periods. You can also pair your mat with our outdoor tray for a classy upscale look right on your front porch. Show off your beautiful mat in your kitchen, living room, on the front porch or even at your office! 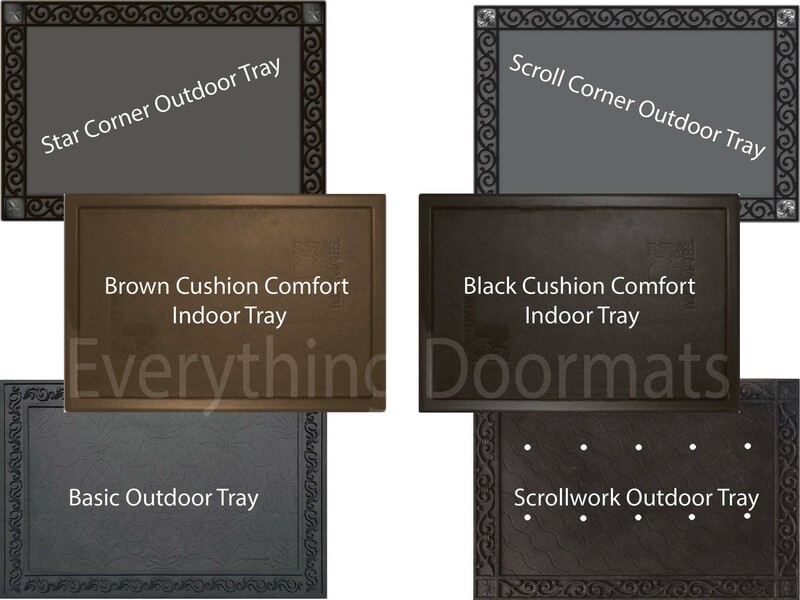 Note: The Merry Everything Floor Mat is pictured in our Scroll Corner Outdoor Tray. The outdoor trays and cushion comfort trays are sold separately.